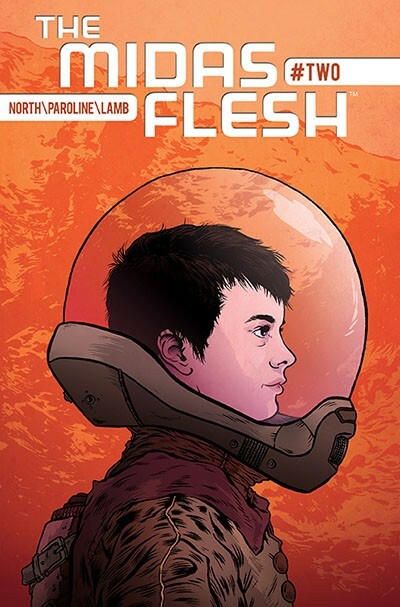 the midas flesh #2 : i missed the first issue of this charming little sci-fi series from the creators of the ADVENTURE TIME comic. with a solid gold concept, breezy dialogue, and pleasing, clean art, this book was a nice surprise and one i’ll be looking out for from now on. 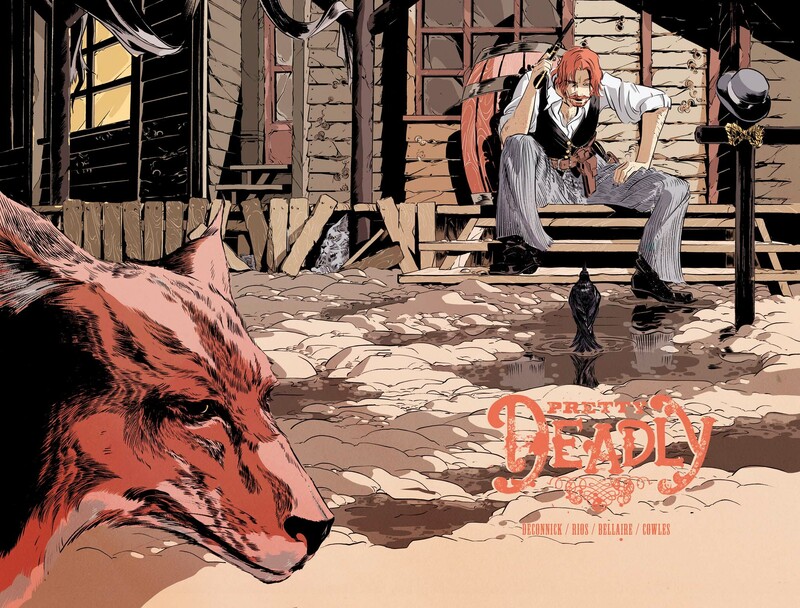 pretty deadly #4 : another magnetic issue from a sure-fire series of the year candidate–and we’re less than a month in. this issue sets things up for a walloping climax to the opening storyline. 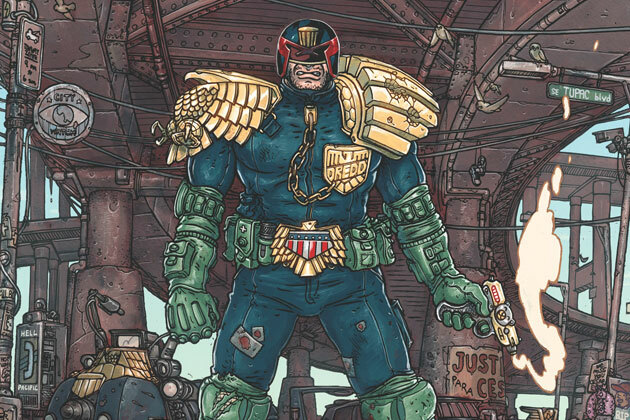 judge dredd mega city two #1 : the venerable judge steps into a wacky west coast version of mega city that’s modern day L.A./hollywood to the max. but what really matters here is ulises farinas’ crazy-in-the-best-way artwork. i haven’t had so much fun poring over background details since zander cannon and gene ha delivered the goods in alan moore’s TOP 10. mixing insane detail with hyper-clean lines, ulises brings his A game and firmly announces himself on the scene. 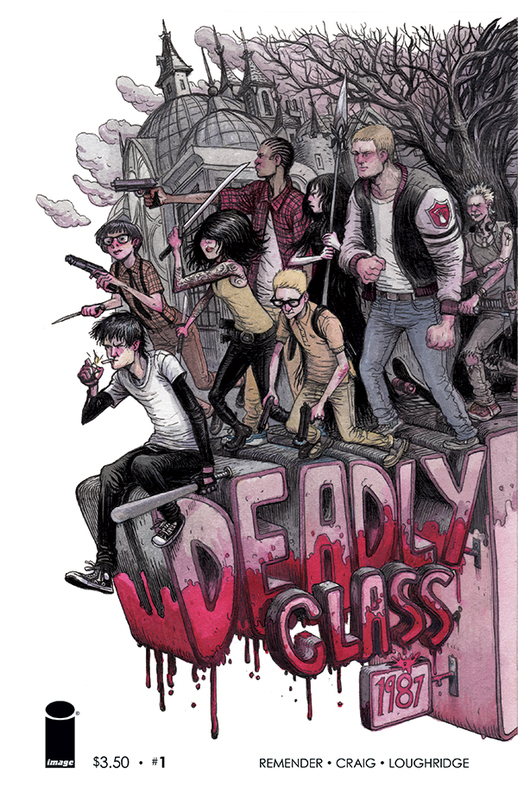 deadly class #1 : rick remender and wes craig kick up some dust in this elegantly designed & drawn entry into the teenage assassin club genre, with the twist being this feels kind of like an inverted real-ish world original x-men. let’s see where it goes. 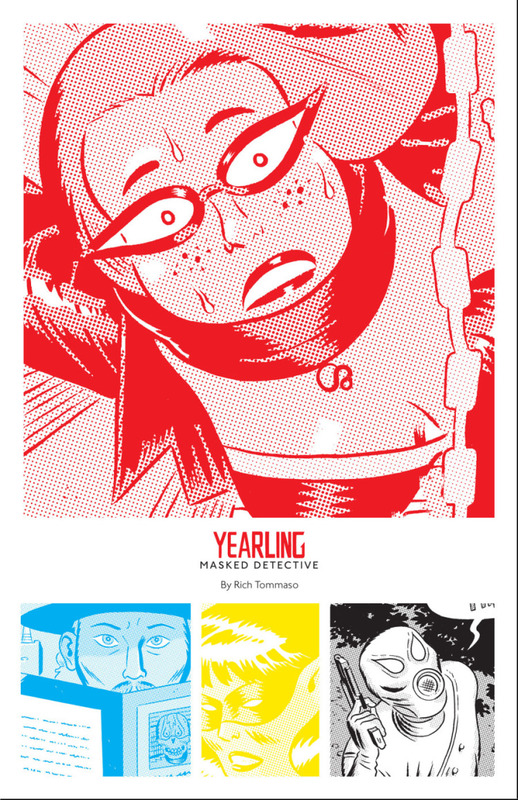 yearling masked detective #1 : rich tommaso’s super avenger crime series kinda reminds me of a straight-edge, non-team version of COPRA that’s more interested in dan clowes than jack kirby and frank miller. with a 1st issue that’s all set-up i’m curious to see where he takes it. 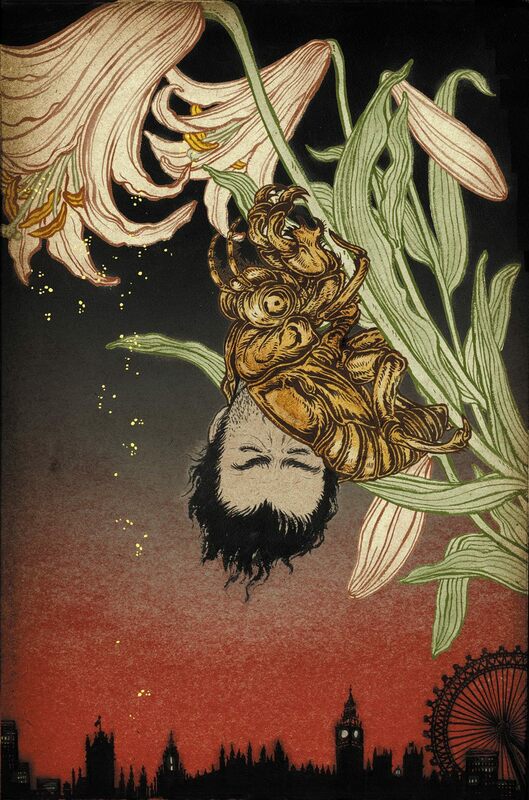 unwritten apocalypse #1 : as one of the best modern day vertigo series looks into the light at the end of the tunnel, it’s a good time to celebrate what mike carey, peter gross, and yuko shimizu have accomplished. get into it, whether you start here or with volume one. 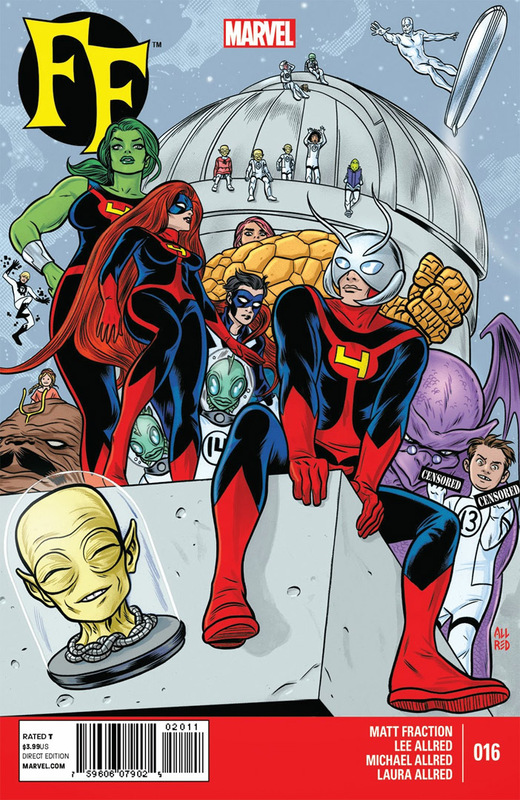 ff #16 : sad to see this book come to an end, but it’s a glorious end, with 15 extra pages of art from mike & laura allred and all the character moments and then some that you’ve come to expect from this first rate series. one of the more endearing marvel books of the last decade. 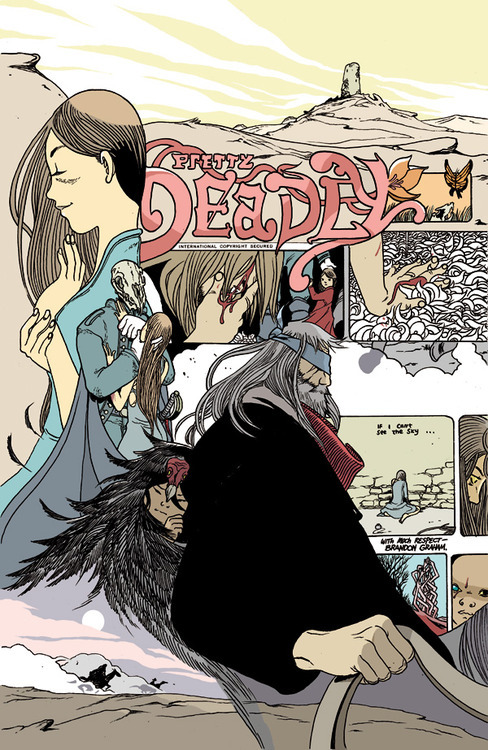 This entry was posted in Good This Week, Lists and tagged Brandon Graham, comics, emma rios, farel dalrymple, good this week, image, kelly sue deconnick, marvel, mike allred, peter gross, rich tommaso, rick remender, ulises farinas, unwritten, yuko shimizu. Bookmark the permalink.